I am so excited about our newly-bought treadmill. After so many weeks of trying to find out which equipment to buy best, we decided to get a SOLE F-85 treadmill. Of course, we considered the price and the features. We don't want to spend like crazy on an exercise equipment however, we also want to have a durable one that we can run on. I think we made a great purchase on this one. We like the fact that it is an easy-assist folding treadmill since right now we just have a limited space in our house. The motor is 3.5 HP Continuous Duty (DC Type) which is what you should be looking for if you want a durable and whisper drive (low noise) motor. The warranty for its frame, deck and motor is Lifetime while its electronics and wear items is 5 years. 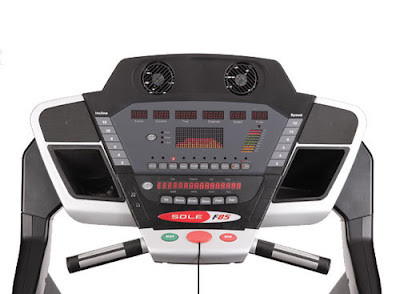 The console features are exactly what we were looking for -- up to 15% maximum incline, 0.05--12 mph speed, built-in cooling fans, built-in speakers which allow you to hook up any MP3 player or iPod for easy listening, wireless chest strap heart rate control transmitter which helps you monitor your pulse. The information that is displayed at all times include Speed, Incline, Time, Distance Traveled, Calories, Pulse and Pace. This machine can handle users up to 400 lbs. which is good if you don't only want to walk but jog as well. It has also a 20X60 running surface which is so important since Jeff has very long strides. It's time to get in those running shoes and start shedding off some pounds. 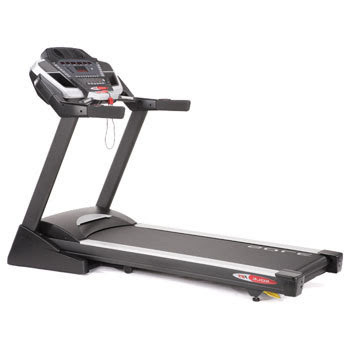 For your treadmill needs, check out this link. This is NOT a paid post. i need this treadmill - being pre-obese isn't going any way better when everything's late hehe.